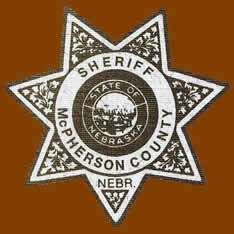 The McPherson County Sheriff's Department was created along with the county in 1890. Since that time Sheriffs and Deputies have worked to keep the peace, promote safety, and protect the property of those who call McPherson County home. As well as those who are just passing through. The staff of the McPherson County Sheriff's Department are committed to the just enforcement of local, state and federal laws, responding to calls for service, handling civil summons, firearm transfer permits, vehicle identification inspections and providing a visible law enforcement presence to the public. The McPherson County Sheriff's Department staff is dedicated to achieving these goals by embracing the values of integrity, community, unbiased enforcement and professionalism. Come checkout our facebook page and give us a like!